Until now, Apple's iPhone is often used as indicators of one's welfare. But the results of a recent survey in Britain showed that one in five iPhone owners actually admitted their bank account balances are always experiencing excessive withdrawal. Conversely, as much as 54 percent of Android-based phone owners and 50 percent of BlackBerry owners claimed never withdraw money excessively. Thus the results of a survey YouGoy of phone owners in Britain are reported by the Daily Mail, Monday (04/04/2011). The survey also revealed that most BlackBerry users and Android have a larger income than iPhone users. Recorded 10 percent and 7 percent of BlackBerry users Android users have incomes of more than 50 thousand pounds per year. What about iPhone owners? Apparently only five percent of iPhone owners whose income reached 50 thousand pounds per year. 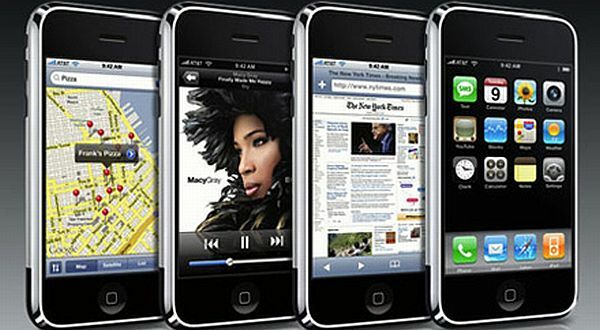 Nearly 50 percent of iPhone owners earned less than 200 thousand pounds per year. Compare with BlackBerry owners (38 percent) and Android (27 percent) who have incomes in that range. The popularity of the iPhone in the UK began displaced by Android. A total of 28 percent from two thousand respondents admitted using Android phone, while iPhone users stalking behind with 26 percent. Meanwhile, only 14 percent of respondents admitted using Research In Motion BlackBerry output.